The month of November brought us our fourth granddaughter. This little blessing has given me the opportunity to sew some small things for baby like outfits, quilts, etc. 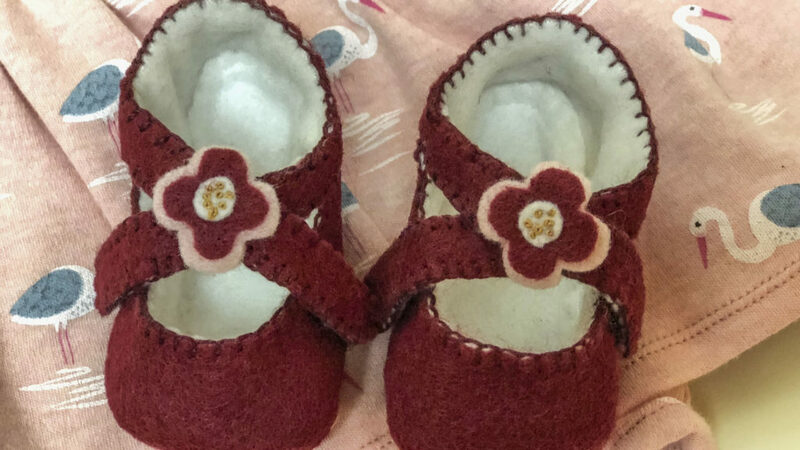 My paternal grandmother used to make the cutest little baby shoes out of felt and I wondered if I could do the same. I searched for a pattern and/or directions to try my hand at it. I found these ‘Lilly Baby Mary Janes’ at I Think Sew and just loved them. 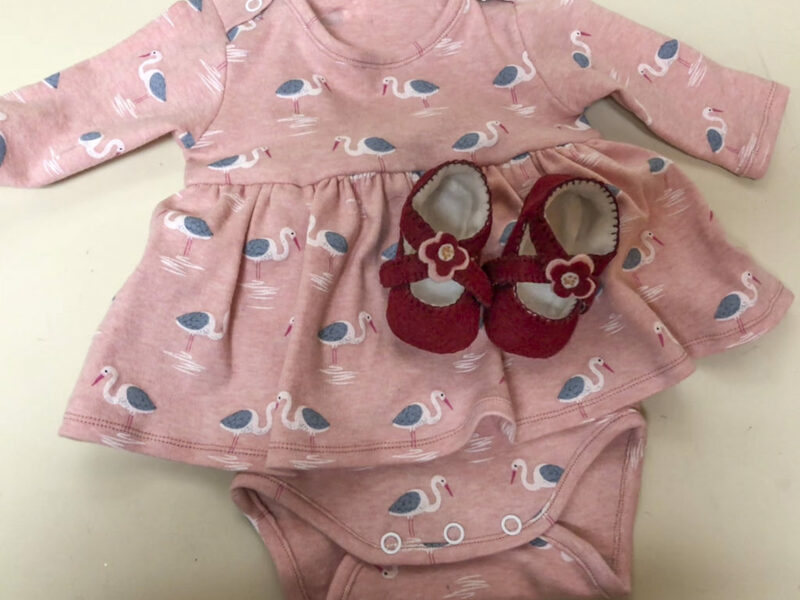 Excited to begin I found some dark red felt that would look nice with the Onesies with a skirt on it, that I made using Burda 9347. The shoes only took a few hours to make and turned out great. I look forward to when she grows into the size for 3 months that I chose to make.